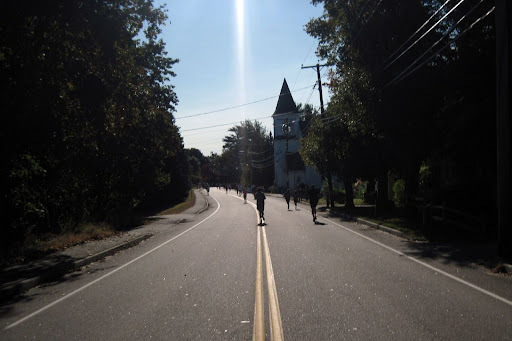 Here are photos I took while running the 2009 Eliot Festival 5K in Eliot, ME. The 5K course has a long, gentle hill, and a Norman Rockwell, small-town feel to every mile. We were lucky with the weather: very cool, with brilliant blue skies and no wind.